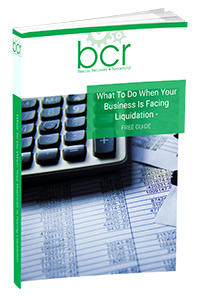 The following is another case study focusing on company voluntary liquidation. The business was established in 1982 and had developed into a successful manufacturer of timber processing equipment. The company continued to grow and in 2,000 moved into a purpose built plant to process more orders that were coming in from domestic and overseas clients. In 2004, additional premises were leased in order to deal with the continuing level of business. However, by the end of 2008 orders became increasingly rarer as customers were both struggling financially and the business was uncertain about the future economic climate, so to speak. Payment for one large complete order became problematic as the debt became considerably overdue. The owners of the business invested more cash into the company to offset pressure from the bank. Although this bought a little time the company was paying out more money than it was receiving and at the directors realised they could not continue trading. They contacted BCR for advice. At a free initial consultation the issues of the company were discussed in detail. After looking at the options available the directors decided it was in the company’s best interest to place it in to a creditors voluntary liquidation. BCR were invaluable as they relieved the pressure on us and supported us throughout the liquidation process. Their friendly and understanding staff have made the liquidation process easier to digest and we are indeed grateful to them.